3D Dynamic Motion Simulation. Finite Element Analysis. Optimization. CAD system Integration. MatLab/Simulink integration. The most comprehensive and capable CAE tool for the price. 2D kinematic and dynamic motion simulation for the Engineering Office and the Classroom. 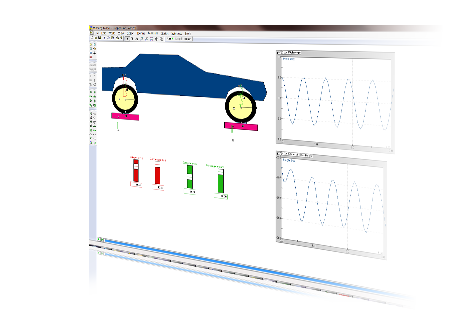 Physics Simulation Software. Make high school Physics come alive. Key technology for STEM implementation. 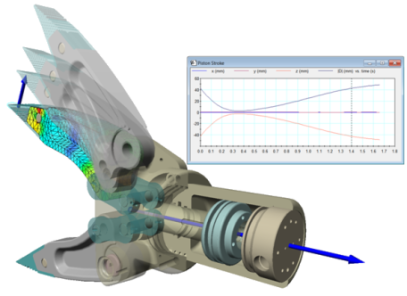 New FEA capabilities add to the already rich set of functionality. New Durability Module predicts component fatigue life. Helps you to make better designs faster. Try it and see for yourself. Fatigue life calculations are now available with SimWise Durability. 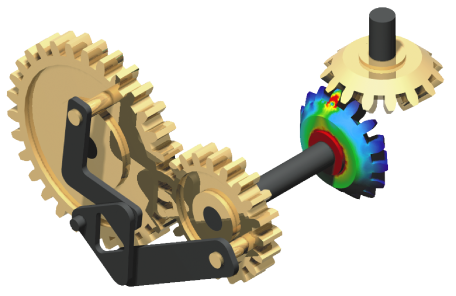 Design Simulation Technologies develops, markets, and supports software products used by students, educators, and professionals to learn and teach physics principles and to use these principles to build virtual models of mechanical designs. High School and College students and educators use Interactive Physics to investigate and experiment with concept in physics. University students and educators use Working Model 2D to understand how mechanical systems work and perform without building physical models. 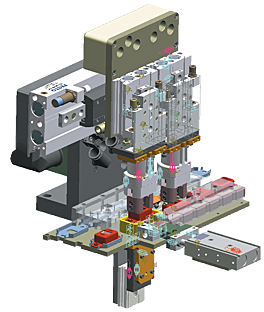 Professional Engineers use our Working Model 2D, Dynamic Designer Motion, and SimWise 4D products to build virtual prototypes of their mechanical designs and use these prototypes to evaluate performance.